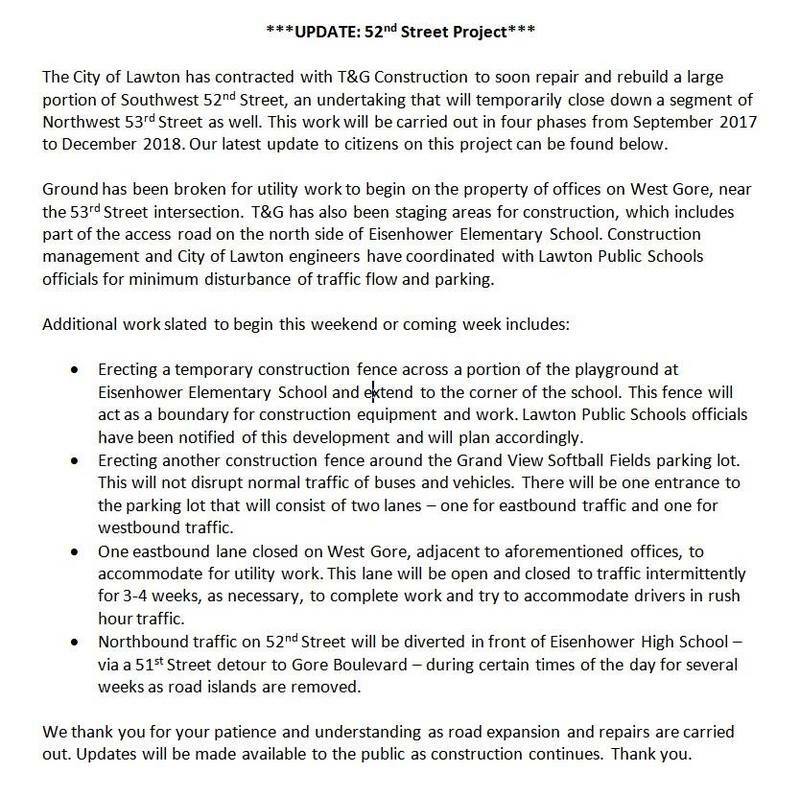 Eisenhower parents: Here's a **52nd Street Project** update! Activity occurred this week with staging and prep work near Eisenhower Elementary and ground work for utilities has begun at the office property on West Gore. Please take a moment to read the below release from the City of Lawton to minimize the disturbance of traffic flow and parking while dropping off and/or picking up your student(s). Thank you for your patience and understanding. We will continue to provide updates as they are released.